There are also many examples where the result was misinterpreted and David Spiegelhalter gives an interesting run-down of how well the press did in his Understanding Uncertainty blog. When scientists talk about sigma levels, they are basically talking about how far their observations are from where they might expect them to be. This distance is measured in units of sigma with 1-sigma observation meaning that they would expect 32% of future observation to be at least as far away as what they have observed. The sigma scale isn’t linear though, 2 sigma means that 4.5% of future observations would be more extreme and 3 sigma puts that at 0.4%. 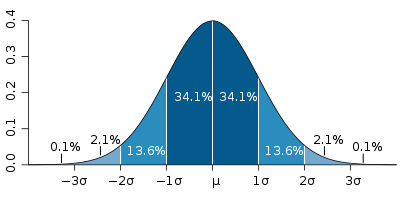 Figure 1: Normal distribution curve that illustrates standard deviations. In particle physics five-sigma, is the accepted level of significance required to declare a discovery. This corresponds to a probability of 0.00002% which might seem to many to be rather extreme. In fact, for many scientists a two-sigma result would be deemed adequate in order to publicise their results. Why is there a difference? Essentially the scientists at CERN are risk-averse; the Large Hadron Collider is one of the most publicised and expensive scientific instruments ever built and the scientists involved are not willing to gamble with their scientific reputations or the laws of physics unless there is a very high level of certainty associated with their results. Uncertainties arise; for example, because of the so-called ‘Look Elsewhere Effect’ in that if you do enough tests eventually you’ll get a false positive result. (See, for example our blog linking jelly beans with acne!). The teams at CERN are looking for particles at a range of different energy levels and by taking such extreme sigma levels they reduce the chance of a false positive to scientifically acceptable levels. The choice of which significance level to use is always a subjective one and conflicts with the scientist or engineer’s intention to conduct an objective test. In most cases, the fundamental question of interest is what is the probability that my hypothesis is true? The only way to do this is to avoid significance testing and sigma-levels altogether and undertake a Bayesian analysis that evaluates precisely that probability.